In Andrea Pyros’s engaging Pink Hair and Other Terrible Ideas, a young girl dealing with the difficulties of junior high also contends with her mother’s breast cancer diagnosis. Josephine is a normal but shy twelve-year-old girl who likes math and chess. She’s hated being the center of attention ever since her parents split up, and she doesn’t want anyone to know about her mother’s illness. At school, Josephine faces the standard issues. She worries about boys, about what her friends think of her, and about how her twin’s behavior reflects on her—particularly since popular Chance wants to be able to tell people about what’s going on. When he decides to dye his hair pink to show his support for their mother, the resulting conflict is a realistic sibling struggle. Cancer is dealt with in a gentle, age-appropriate manner. Surgery is required for Josephine’s mom; she’s afraid that her mother will die, but the book focuses more on what she has to do to get better. It explores how the diagnosis affects other, lesser concerns, too, like the excitement over a friend’s birthday party and whether it’s okay to feel anything beyond worried and sad. Over the course of the story, Josephine learns to be less concerned about what others think. This lesson comes naturally across the book’s brief window of time, which does not stretch to Josephine’s mother’s remission. By the end, Josephine and her brother have found a better balance in dealing with cancer, and Josephine has also found better balance in dealing with junior high. 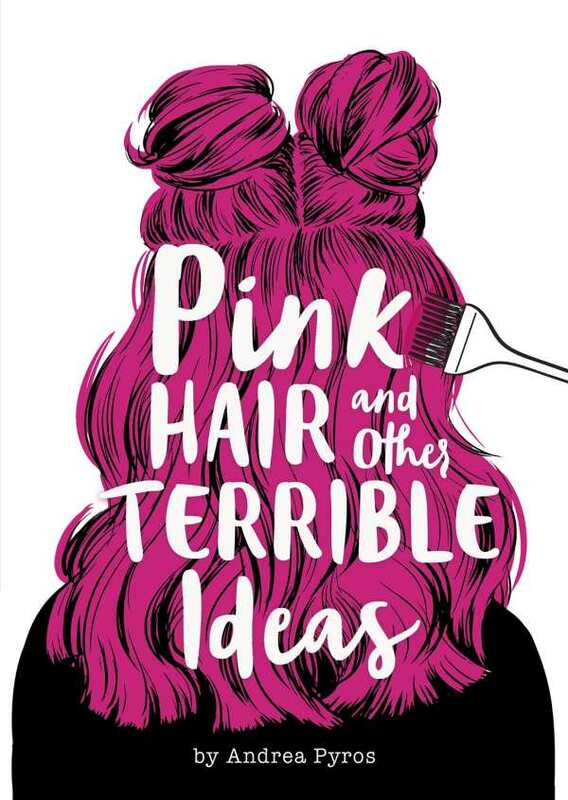 Pink Hair and Other Terrible Ideas is an empathetic story about learning to face problems both great and small.